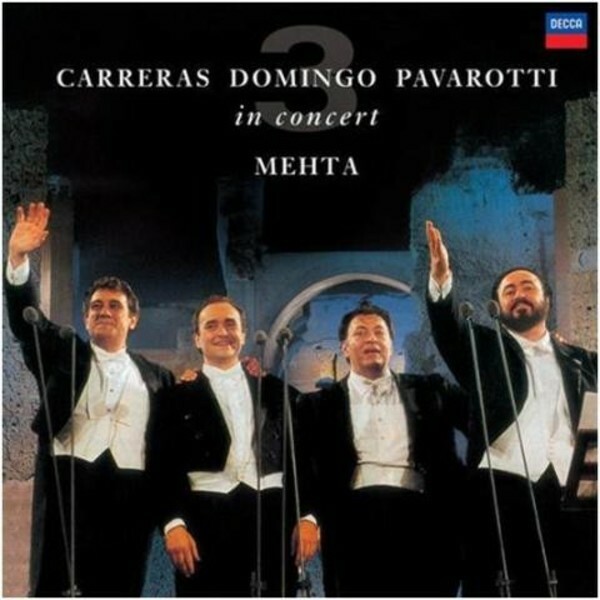 'Carreras Domingo Pavarotti in Concert' was recorded on July 7, 1990 in Rome as the first Three Tenors concert with the Orchestra of the Maggio Musicale Fiorentino and the Orchestra of the Teatro dell'Opera di Roma under Zubin Mehta, on the eve of Italia 90. The recording, released on the Decca Classics label, won the Grammy Award for Best Classical Vocal Performance in 1991 (33rd Grammy Awards). With over 12 million units sold, this release is one of the greatest achievements in our industry. Recorded live in Rome in 1990, it is the best-selling classical album of all time.